This York Valley Cheese Company white extra sharp cheddar cheese is perfect for sandwiches, specialty pizzas, or garnishing soups. Featuring a bold, extra sharp cheddar flavor and white color with a dense consistency, this cheese is sure to be a favorite amongst your customers. Its semi-hard consistency can be cut into cubes, chunks, or sliced thin for sandwiches too. Try grating it over top of a warm omelette to achieve a delicious melted texture that adds a tasty, creamy finish to your cooked product. Or consider slicing it and serving alongside fresh cut ham on white bread to create a classic deli sandwich. 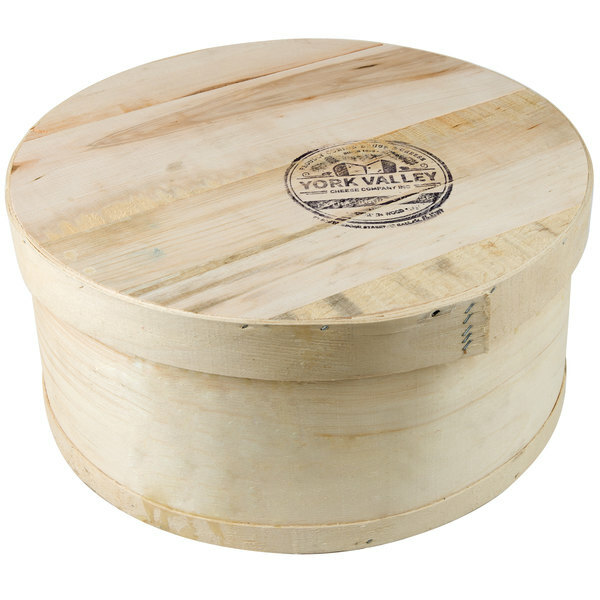 This extra sharp cheddar cheese wheel comes in a wooden flat to keep it protected during shipment. 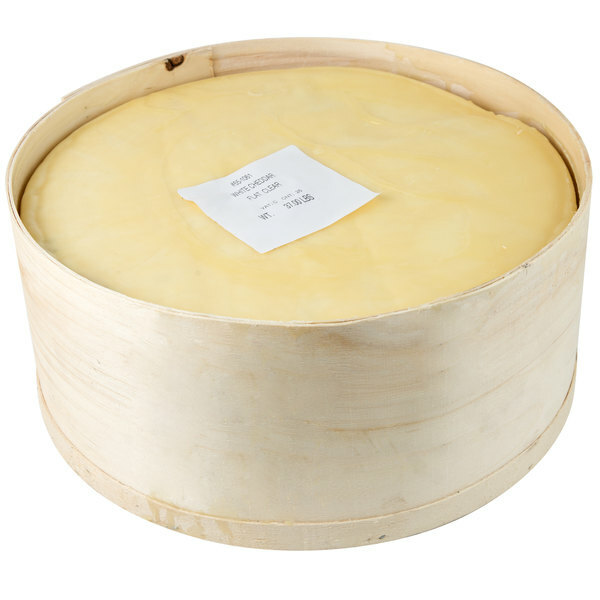 Supplying your establishment with a bulk supply of this popular cheese ensures you will never run out during your busiest hours, and will save money buying in bulk. Regardless of whether you're filling out a charcuterie board to pair with a winter stout at a catering event or party, or topping an award winning sandwich, this cheese is sure to be a crowd pleaser. Located in the quiet town of Hallam, Pennsylvania, York Valley Cheese Company products ensure small-town excellence that has been passed down through four generations of cheese curing experts. 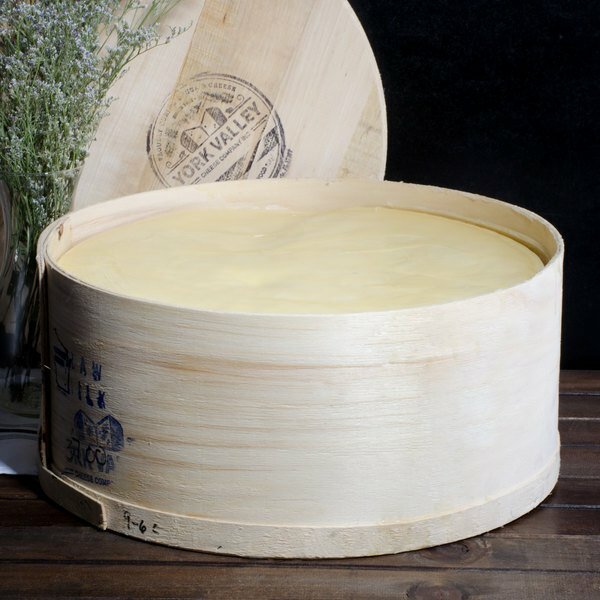 They make all-natural Grade A cheese by using only rich whole milk and a specialized curing process perfected by an expert Wisconsin cheese maker. With a variety of cheeses, York Valley Cheese Company provides the wholesome flavor and quality your customers are looking for.